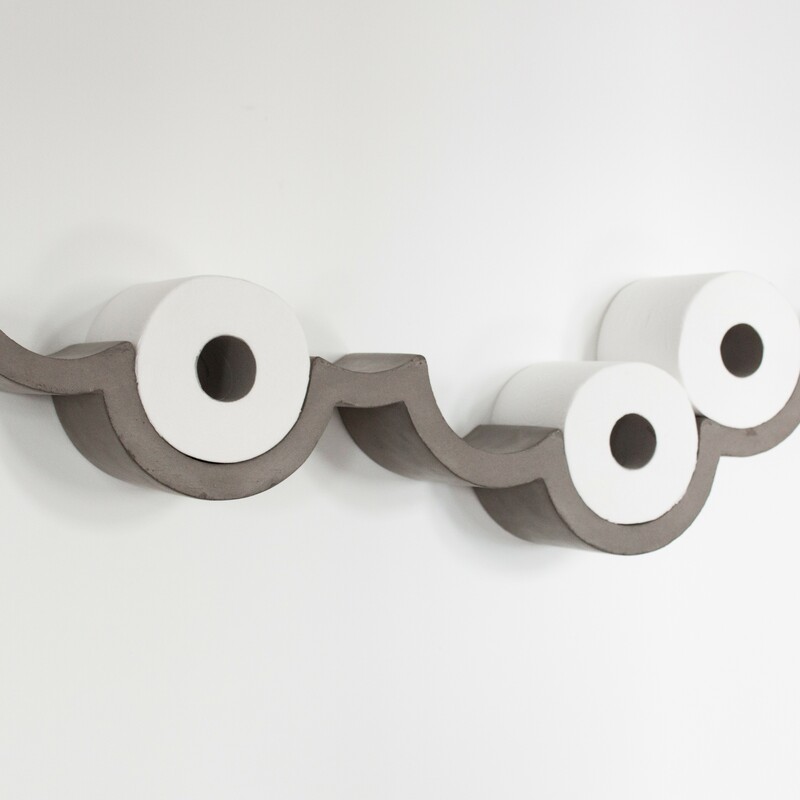 The Cloud Toilet Paper Shelf adds poetry, humour and singularity to a room so often deprived of these qualities. 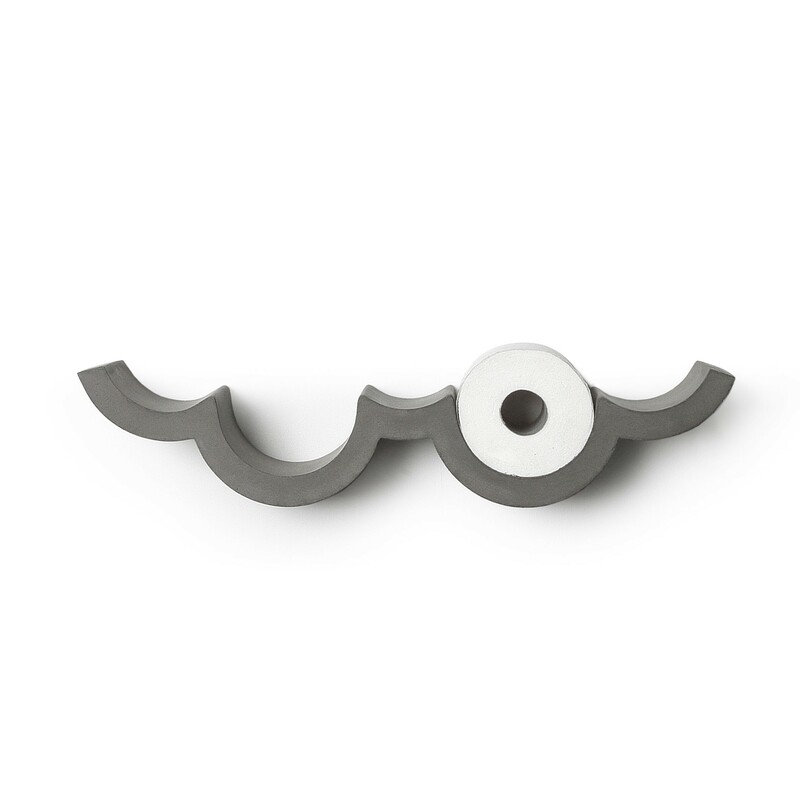 Designed by the french artist and designer Bertrand Jayr for Lyon Béton. 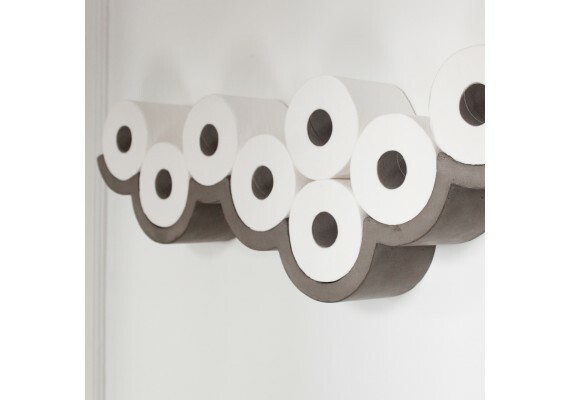 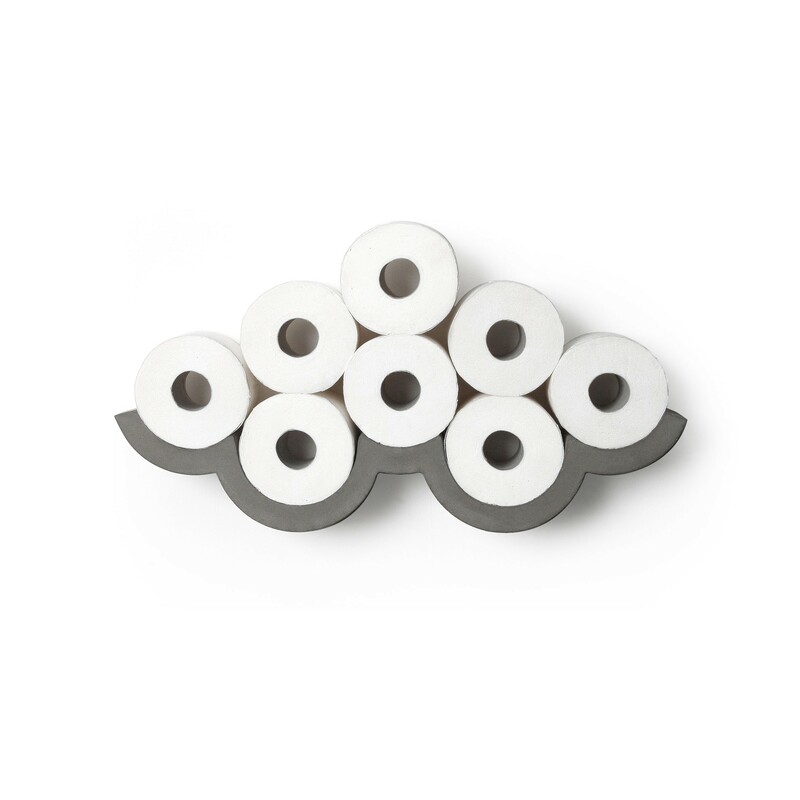 This unique concrete shelf, with its curved lines, is designed to display and store toilet paper rolls. 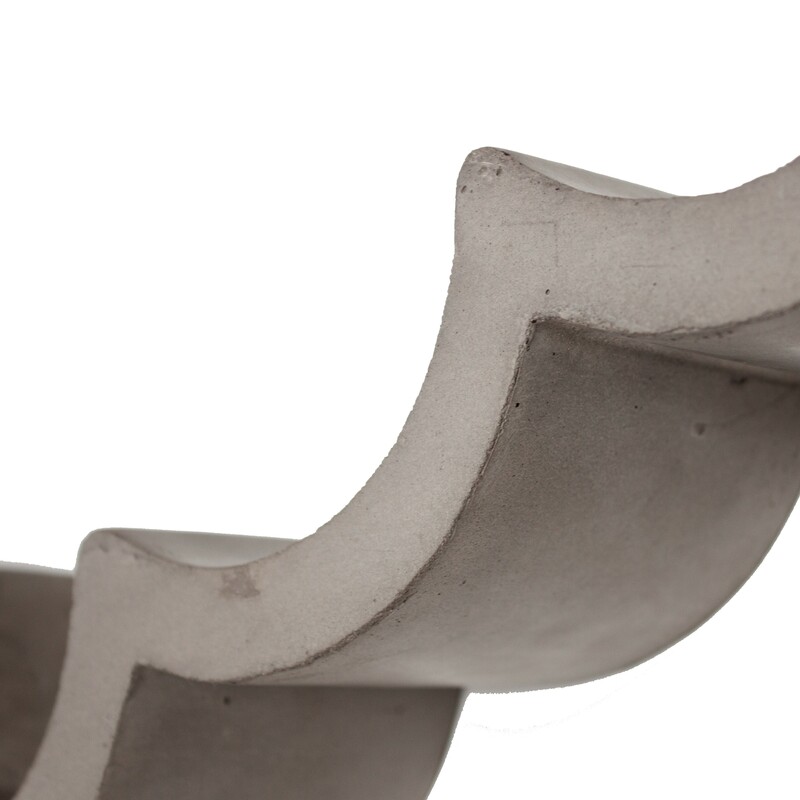 The concrete shelf gradually takes the shape of a cloud. 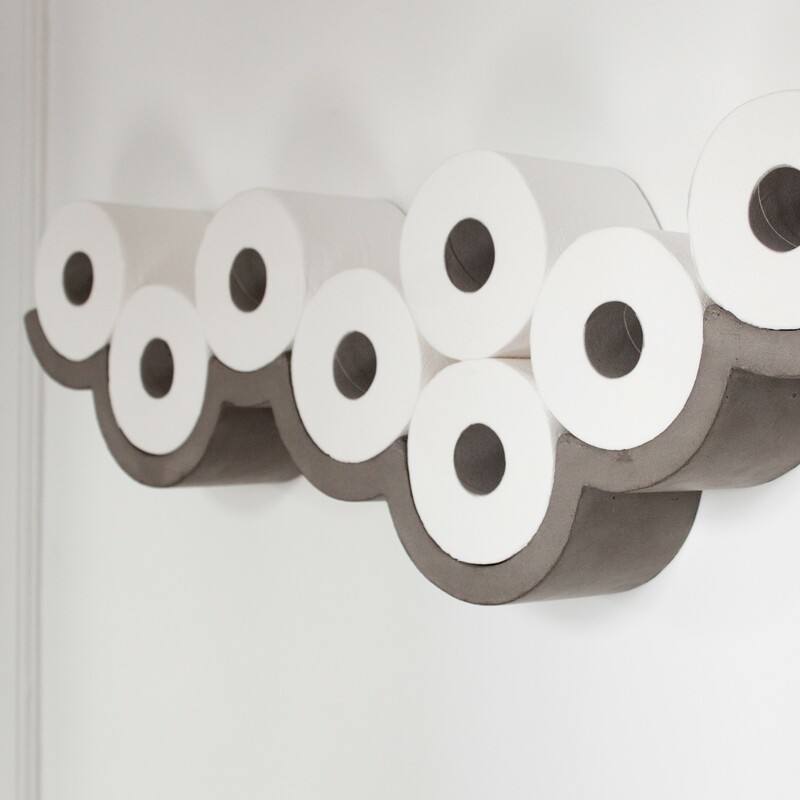 Small: 55 x 10 x 12 cm, stores up to 8 rolls. 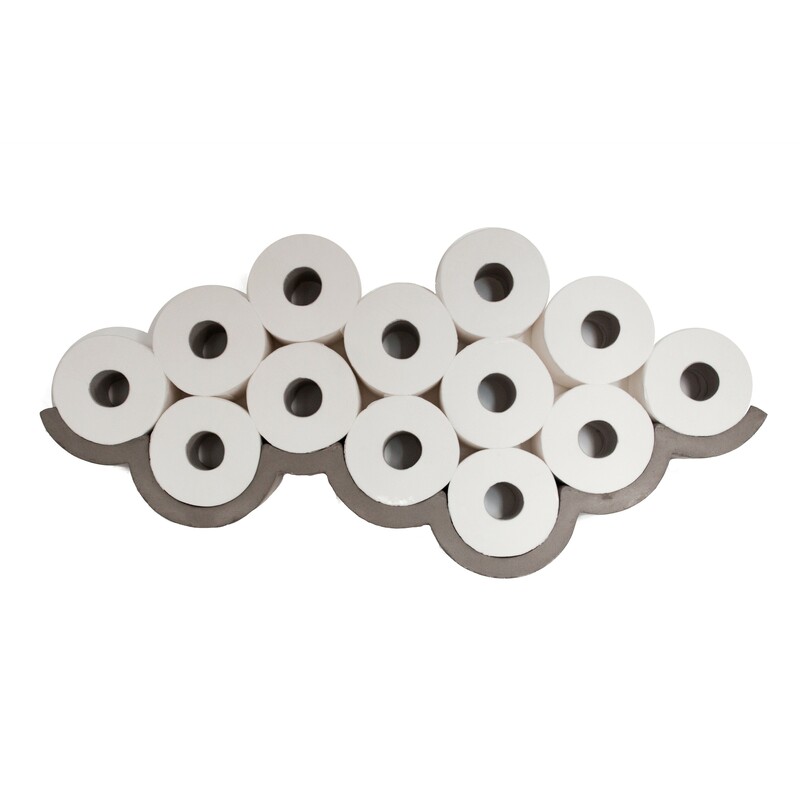 Large: 74 x 10 x 17 cm, stores up to 14 rolls.